Students from Lakeland FBLA chapter attended and competed at the State Leadership Conference. 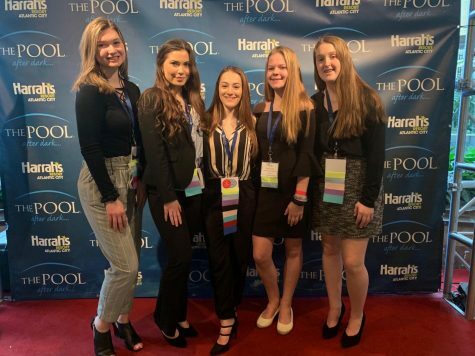 Students from Lakeland FBLA chapter attended the 59th State Leadership Conference at Harrah’s Resort in Atlantic City on March 20-22. The club members walked away with a wealth of business knowledge that will help prepare them for the future. FBLA, which stands for Future Business Leaders of America, is the largest career student business organization in the world and helps members prepare for careers in business. Of the 119 club members, students who qualified at the regionals event had the opportunity to attend the conference. The State Leadership Conference tests students on their business knowledge and skills. Of the 119 students in the club, students who qualified on the competitive test at Lakeland during the regionals event had the opportunity to attend the conference this year and include Senior Katie Dempsey; Juniors Elena Scibetta and Shannon Broderick; Sophomores Andy Gavin, Todd Geyer, Madison Morgan and Brianna Worrell; and freshmen Ryan Henderson, Kacey Von Ende, and John Ransom. Students are led by club adviser and Lakeland teachers Mr. Andrew Truong and Mrs. Jessica Geyer. While at the conference, club members, led by Dempsey, competed in the Community Service event, a first in Lakeland’s FBLA history. 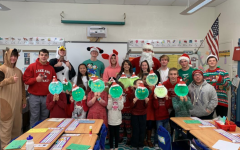 Dempsey gave a presentation to a panel of judges, presenting the Haskell School Project in which students read stories, made a craft, and gave out holiday cards to 1st and 2nd grade students in town. 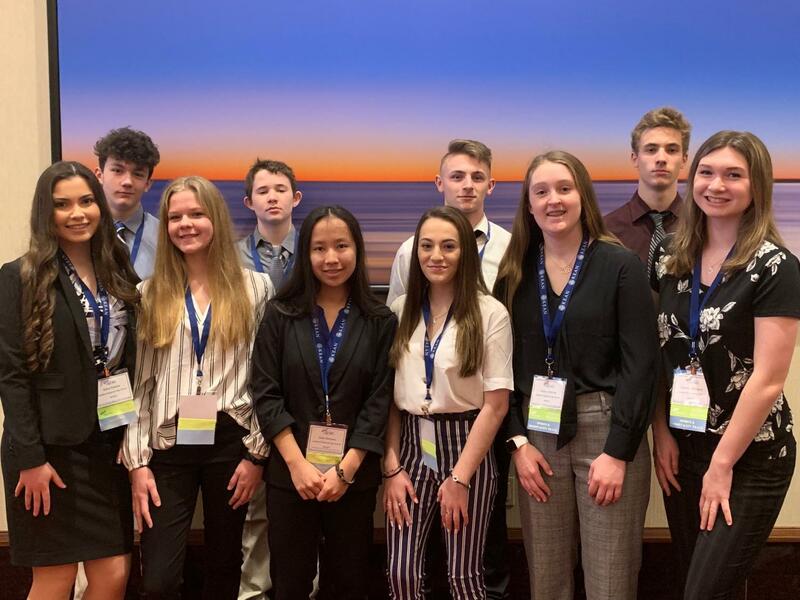 Although none of the students placed in their respective events, everyone had a great time and learned a lot about business when attending the conference. Students attended workshops including Careers in Social Media Marketing, Sports/Hospitality Management, FBLA Candidate Caucuses, and more. “We already have our sights set on next years’ events!” shared Ms. Geyer. With all the hard work and determination Lakeland’s FBLA puts forth, we have no doubt they will do great.